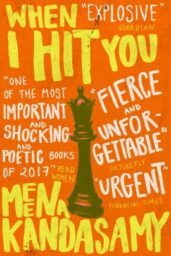 Meena Kandasamy is a poet, fiction writer, translator and activist who lives in London. She has published two collections of poetry, Touch and Ms. Militancy, and the critically acclaimed novel The Gypsy Goddess. The titles below are those represented by Susanna Lea Associates on behalf of David Godwin Associates.